One team, one goal, one dream. 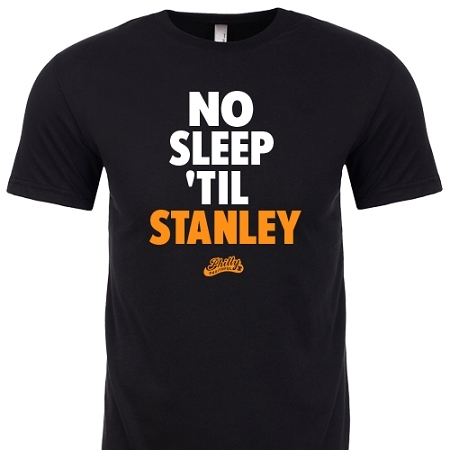 No Sleep Til Stanley men's tees are printed on the amazingly soft, perfectly cut Next Level Sueded crew. 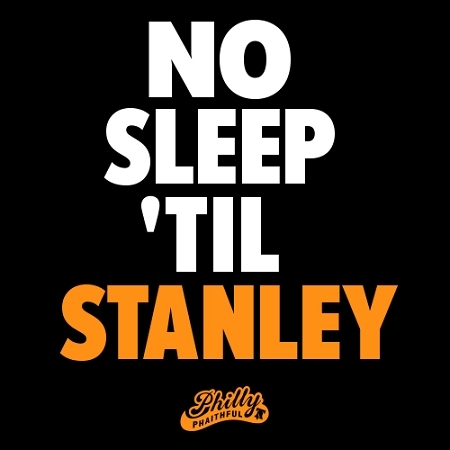 This 60% cotton, 40% poly blend will instantly become your new favorite tee in the rotation. Please be aware that the men's 3XL is printed on the standard Next Level cotton/poly crew (52/48%). Our women's tees are printed on sleek, 100% combed ringspun cotton tees from Next Level. 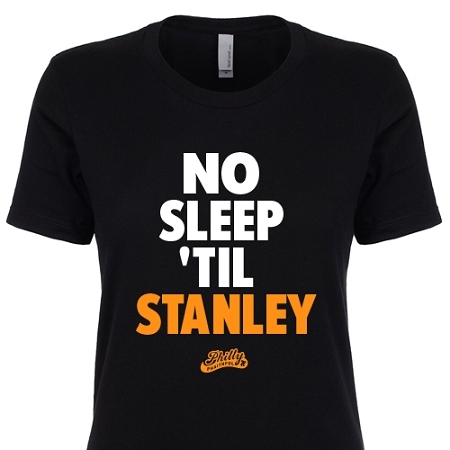 Also available in a hockey hoody with jersey-style orange laces.